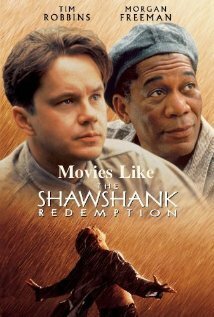 Movies Like The Shawshank Redemption '+g+"
Check out this list of some really good classic movies like Shawshank Redemption. Released in 1994 the movie talked about two imprisoned men Andy Dufresne (Tim Robbins) an innocent banker and Ellis "Red" Redding (Morgan Freeman) a lifer and their bonding that developed over several years at the Shawshank State Prison in Maine. The movie is directed by Frank Darabont and the starcast include Tim Robbins, Morgan Freeman and Bob Gunton. Cast Away (2000),..........if you can think of more, then don't forget to mention it in comments.